Set aside some TV time tonight folks. There is a great episode of Shooting USA on the Outdoor Channel. Over the course of tonight’s hour-long broadcast there are FOUR notable features well worth watching. Show times are 8:00 pm Eastern and Pacific; 9:00 pm Central. 1. AR-Platform 6.5 Creedmoor Precision Rifle. 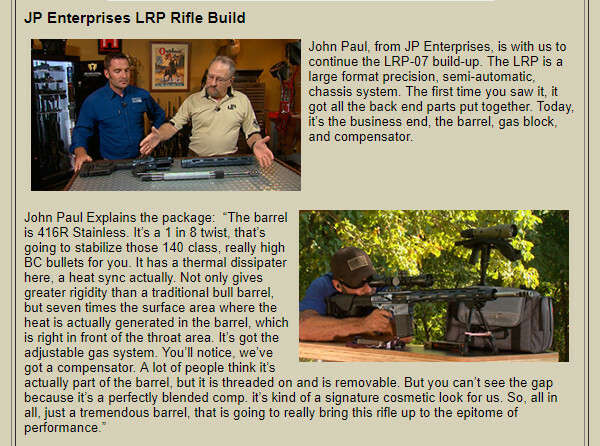 In this segment John Scoutten works with JP Enterprises on a 6.5 Creedmoor semi-auto precision rig using JP’s LRP-07 components. This sequence showcases the AR10-type platform’s abilities with mid-sized cartridges. 2. 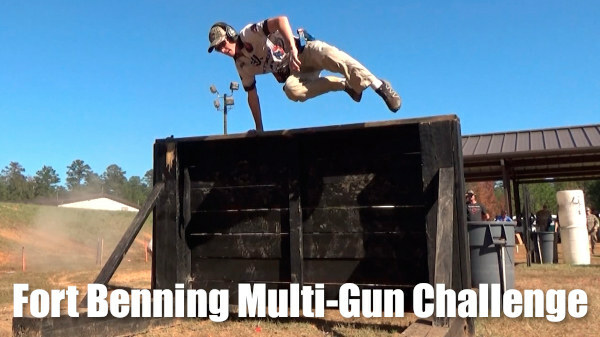 Fort Benning Multi-Gun Challenge. 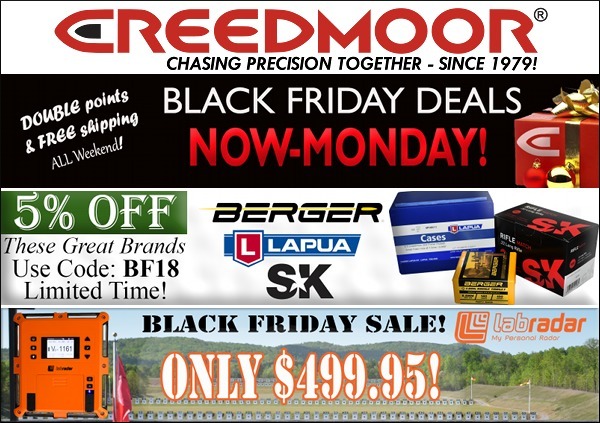 This is one of the best 3-Gun events of the year. If you like fast action, with rifles, pistols, and shotguns, you’ll love this Shooting USA sequence. The U.S. Army Marksmanship Unit at Fort Benning, Georgia hosts one of the toughest and most challenging multi-gun matches. Watch top competitors move through difficult stages that test strength and agility as well as marksmanship. Multi-gun competition tests shooters’ skills with rifle, pistol, and shotgun, running stages “on the clock”. You must be fast AND accurate to successfully complete a course of fire. 3. Classic Arms — The U.S. Army’s Model of 1917 Rifle. The Model 1903 Springfield is perhaps more famous, but more Model 1917 rifles were actually issued to American troops in World War I. This sequence covers the history of this important American battle rifle. 4. 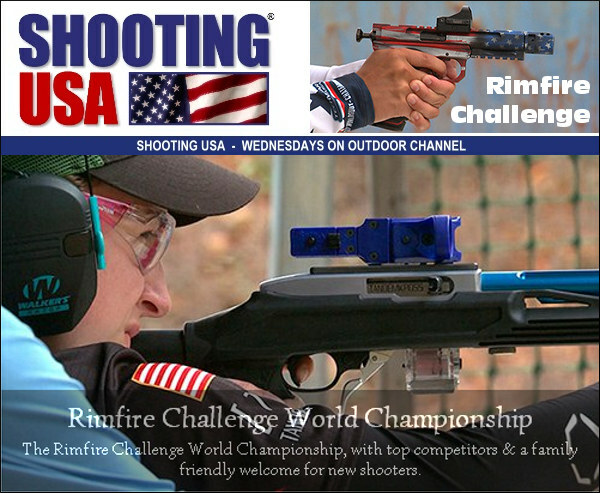 Rimfire Challenge World Championship (RCWC). This is a great family event. 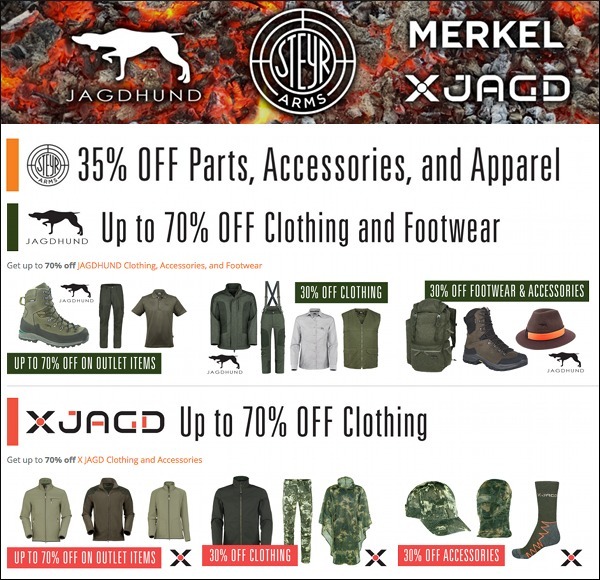 The Rimfire Challenge is a timed, short-range event for .22 LR handguns and rifles. In recent years, the RCWC has been held in Alabama with 16 stages, 8 for rifle and 8 for pistol. This major match attracts hundreds of competitors from around the nation. It’s fast and fun with instant feedback from ringing steel plates. The RCWC is family-friendly event that’s great for all skill/experience levels. 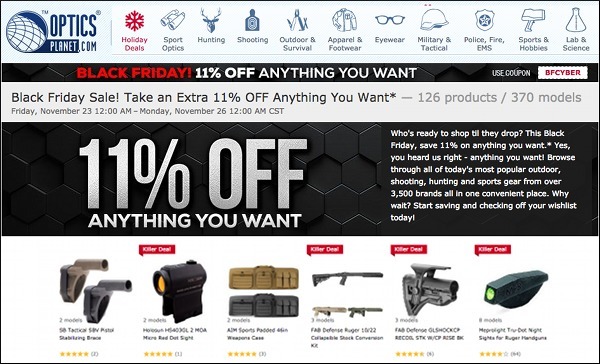 Share the post "Four Great Features on Shooting USA Tonight"
Want to upgrade your AR’s trigger? Shooting USA and Brownells have created a video tutorial that shows how to remove a factory AR trigger and replace it with an upgrade. This video illustrates the procedures to follow and the tools you’ll need. Step-by-step, the video explains how to swap the factory trigger group for a self-contained ‘box style’ drop-in trigger module or a traditional (multi-part) trigger system with enhanced performance. Many AR-15s come from the factory with a military-type trigger that has a long, gritty, heavy pull. Replacing that trigger is one of the best ways to improve your AR’s performance. You’ll be rewarded with a smoother pull, shorter take-up, and reduced pull weight. You will also have a choice between a single-stage and a dual-stage trigger. The box-style, self-contained drop-in systems from companies like AR Gold, CMC, Timney, and Wilson Combat are the easiest to install. John Scoutten explains: “These self-contained systems … are very simple to install. 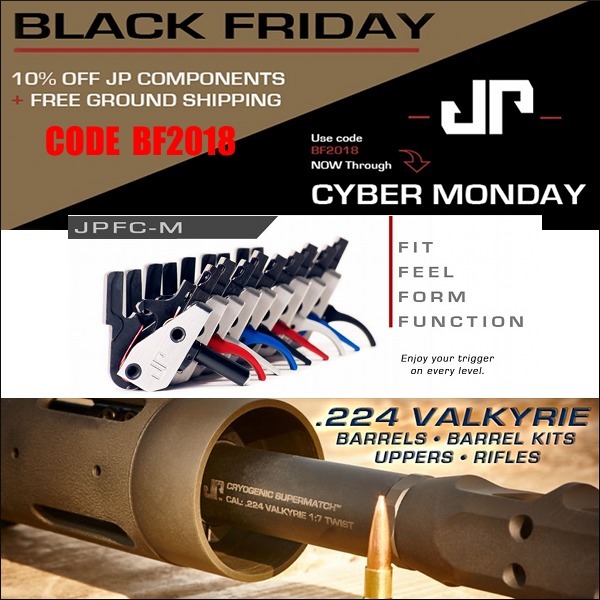 In fact, all you do is remove the factory parts, drop in the whole system, replace your pins, and you’re done.” Conventional two-piece trigger groups are offered by DPMS, Geissele, JP Enterprises, and Rock River. 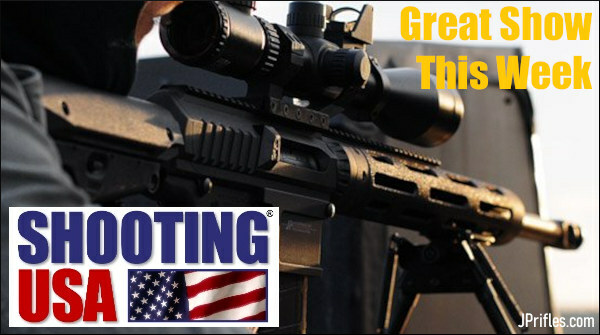 The key points of the video tutorial are also explained on the Shooting USA website with text and still pictures. 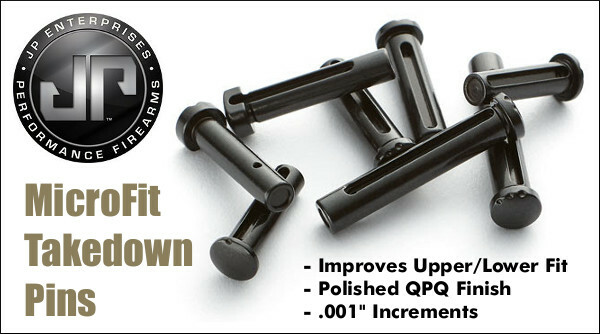 Before you start your trigger project, review Shooting USA’s AR Trigger Upgrade Page. You’ll find helpful close-up photos on that page. 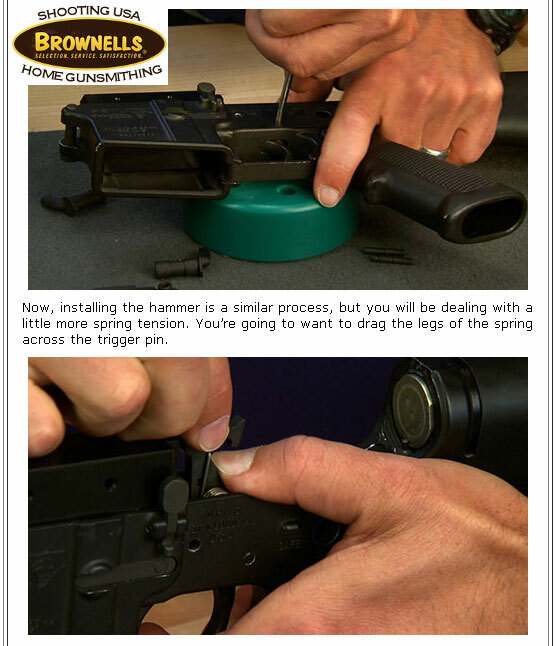 Share the post "Brownells Video Shows How to Upgrade AR Trigger Assembly"